There’s rumbling within the ranks of Norway’s state police. Officers on patrol are setting off alarms over not just inadequate staffing but an actual “ravaging” of their ranks, while criticism is flying over how police chiefs around the country are staying mum. “No comment” has been the main response from the police chiefs, a silence that Jenny Klinge, a Member of Parliament for the Center Party, finds downright embarrassing. “I think it’s simply shameful that no police chiefs dare to be honest about this,” Klinge told newspaper Dagsavisen late last week. Her remarks came after the Oslo Police District entered into an agreement, for the first time, with private security guard companies. It calls for cooperation between the police and six security firms in an effort to increase safety on the streets of the Norwegian capital. Police will still have ultimate authority, but security guards will back them up and the two branches will work more closely together. Reforms of the state police system have also been blamed for taking away resources from the police efforts to prevent crime instead of simply responding to it. That’s especially been linked to the rise in gang violence and crime in Oslo in recent months. In rural areas, meanwhile, staff shortages have become acute. Police can’t always respond to calls for help. 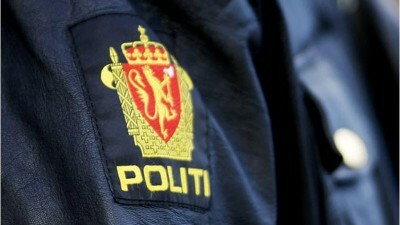 It’s all led to more complaints from the union for police officers (Politiets Fellesforbund), from politicians like Klinge (whose party’s constituency is rooted in Norway’s outlying districts) and from at least one police leader, Arne Guddal in Drammen. He’s the one who told newspaper Dagsavisen Fremtiden that police reform was “ravaging” the system and the ranks. He claimd there was “massive frustration” among cops on the beat and police at all levels. “Now there’s also a lot of feelings of hopelessness, that this is the way it’s going to be in the years ahead,” Guddal told Fremtiden. While editorial writers are urging more like Fossen to speak up and address police officers’ concerns, Justice Minister Tor Mikkel Wara is ultimately in charge. Wara represents the Progress Party, which has long urged more support for the police. He and others in the government point to all the increased funding they’ve allocated and claim police leaders are in charge of putting it to the best use.